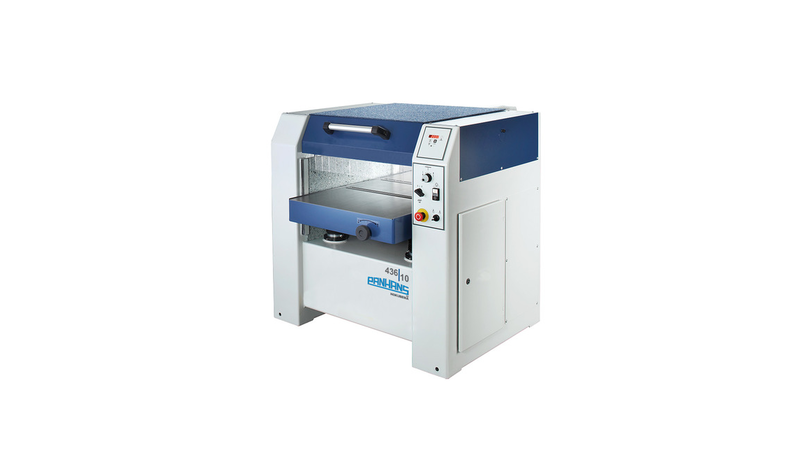 The thickness planing machine 436|10 is characterised by a compact and robust steel construction due to the extremely smooth and quiet operation of the dynamically balanced cutter head. thicknessing table is vibration-free and non-tilting and born by 4 table spindles to ensure a perfect planing result. The optimal feed of the working piece is ensured by a rubber infeed roller and outfeed roller with a diameter of 90 mm. The height adjustment is ensured by the positioning control easy drive which is already present in the standard version.